Add theatre with the JM Posner electric chocolate cascade fountain, ideal for shops, self-service areas, bars and restaurants. Serves 20 - 40 people. 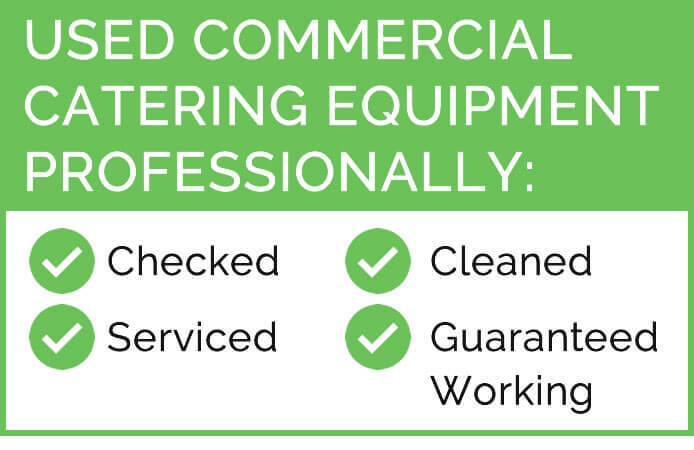 Simple tier positioning ensures it is easy to set up, clean and operate for long lasting food service without frequent refills. Operates with minimum of 2kg of chocolate, reducing waste. 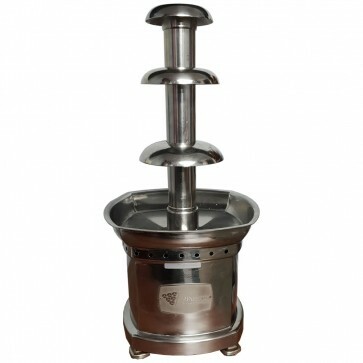 Capacity 3kg, Dimensions 611(H) x 300(W) x 300(D)mm, Material 304 Grade Polish Stainless steel, Power Type 250W, 230V, 5A. 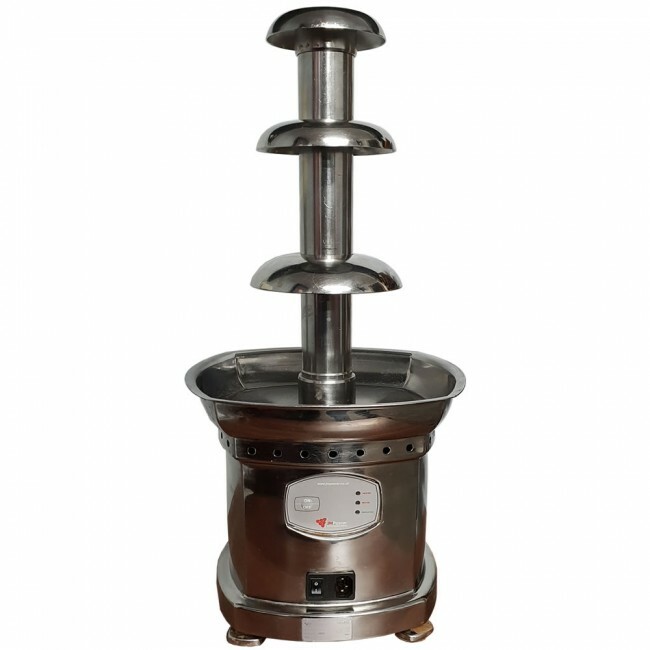 IP rating: 20, Supplier Model Number SQ1, Temperature Range 45°C to 55°C, Voltage 230V, Weight 8.2kg, Has 2 tiers and a "top hat" - easy to set up, clean and operate, Unique modern design with stylish feet, 5 mins heat up time.